Whether you're thinking about housing options for your later years, or considering a senior living residence for your parents... feeling safe and secure while being able to get from one place to another comfortably are some key issues you'll want to consider. Here, home experts are talking about the important features included in "accessible design" and "universal home design". Plus, ways to remodel your current home for aging in place (like installing elevators, stairs, and ramps). 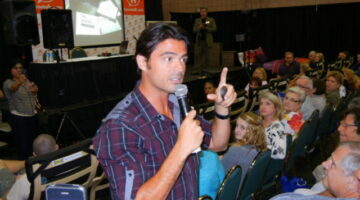 John Gidding, from HGTV’s Curb Appeal and Designed To Sell, spoke at the Atlanta Home Show. See John’s tips for taking a project from conception to reality. Pictures and information about a ThyssenKrupp Access installed residential elevator in this Charles Meng-built home at Lost Mountain. Residential elevators are gaining popularity as an amenity for seniors, the disabled and in multi-story luxury homes. It’s easy to see why that is true. 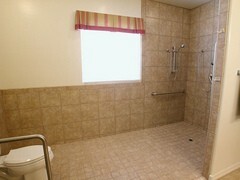 There’s a new senior communtiy in Hiram, GA. Greenbrooke Senior Community has location in its’ favor. It is very basic, no-frills housing with access to lots of shopping, dining and (limited) entertainment. Could this be for you? If you want to live comfortably in your own home as you near a traditional retirement age, you might want to remodel your own home to better suit your needs for the coming years. It is advantageous to consider hiring a Certified Aging-In-Place Specialist (CAPS). The CAPS is specially trained to build to suit seniors needs more appropriately than your average remodeler. I’ve got a few great links to point you in the right direction.